​Actor Kim Soo Hyun showed off his masculine charisma. 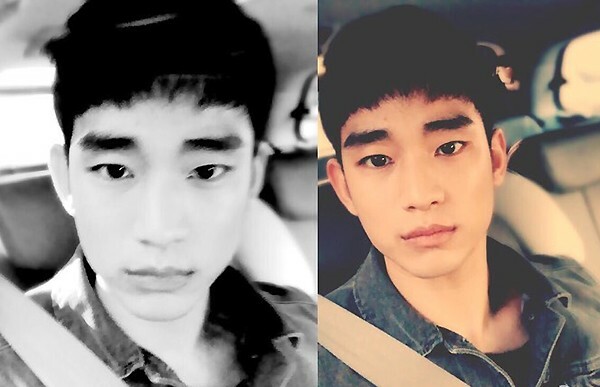 Soo Hyun has shared two selfies on his Weibo account. His outstanding appearance caught the attention of audiences. Soo Hyun is currently filming a movie entitled 'Real.' This movie will portray the stories of a cold-hearted man named 'Jang Tae Young,' who works for the black market. He dreams to have his own casino. Soo Hyun will play this role. 'Real' is also well-known as the Sulli's debut movie. This movie will be premiere in the end of this year. prevSong Joong Ki's fan meeting in China! nextLee Min-ho celebrates his 10th debut anniversary!